Heat oven to 350°F. Mix all ingredients, including seasoning packet from rice mix, in ungreased 2-quart casserole. Cover and bake 45 to 50 minutes or until rice is tender. Uncover and bake 10 to 15 minutes longer or until liquid is absorbed. 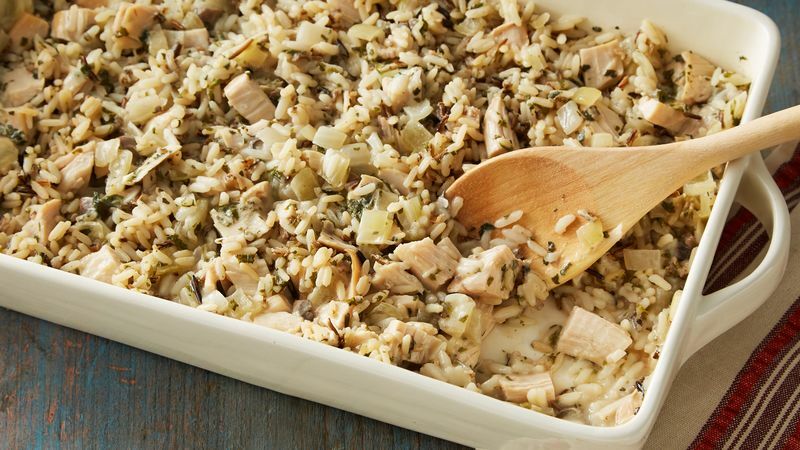 Instead of the cut-up cooked chicken, try making this casserole with cut-up ham. Mushroom lovers might like to add a small jar of sliced mushrooms, drained, to this wild rice casserole. Or add 1/2 cup frozen green peas.